Neo-Banks - Marketing Machines or Real Banks ? Do Customers Care? 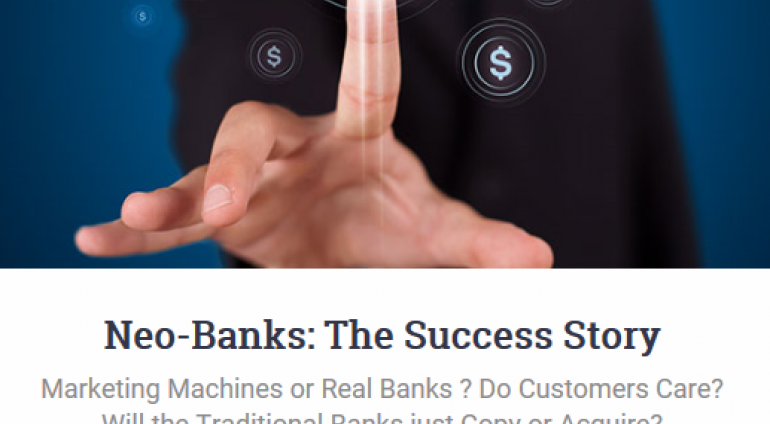 Will the Traditional Banks just Copy or Acquire? 15.10 : Panel Debate: Neo-Banks - Marketing Machines or Real Banks? Do Customers Care? Will Bricks and Mortar Banks just Copy / Acquire?